60 degrees when I left work at 5 PM yesterday and yet Thursday morning it was 30! Along with Daylight Savings, these temperature extremes are killing me. Riding home mean shedding a lot of what I rode in with. Of course not wearing my Lobsters was a no brainer but my other gloves were too warm as well so I rode bare handed. I have only ridden this way once before and that was off road in the middle of summer. That was pretty uncomfortable because my hand was always sweaty and I couldn't get a grip. Riding home last night, it wasn't that bad but I still felt awkward not having gloves on. 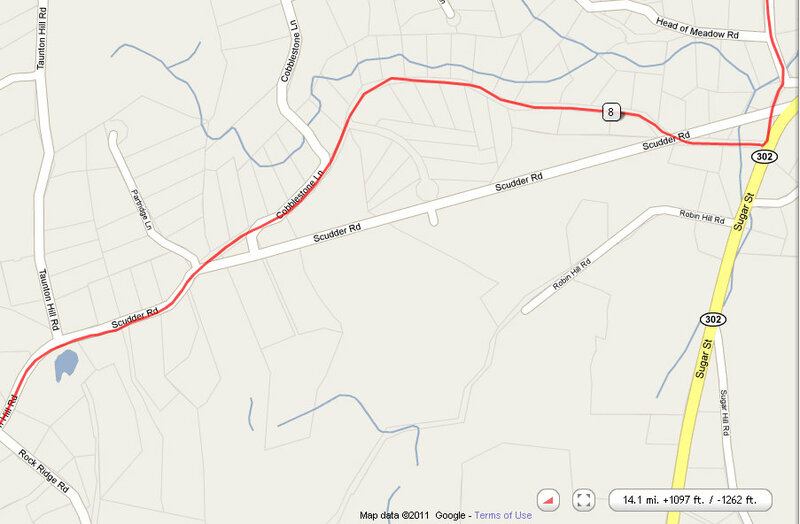 I decided to experiment with the route home and try to get off the beaten path. 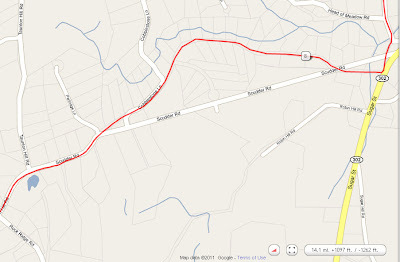 All the online maps show Scudder Road as going straight through but that's an obvious mistake because I finally rode and it's hardly anything but straight and flat for that matter. Nice huge climb up and blasting descent down. I have to say though there is no leverage to be gained from the Fme's by coming out of the saddle. Just have to gear down and pedal away. 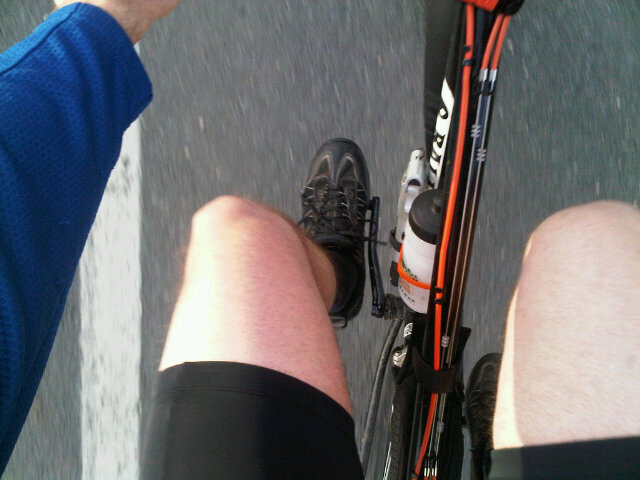 Wearing shorts for the first time was nice although it started to get chilly with all the hills I was riding down. Yesterday definitely felt like spring!